Kipyn Martin is an award-winning artist who performs at festivals, concert halls, and house concerts from New England to Texas. Her latest release of original music, Dance Across the Sky, won multiple Gold Awards in the Mid-Atlantic Song Contest. Susan Werner says "I'm pretty sure God wishes she could sing like Kipyn Martin." 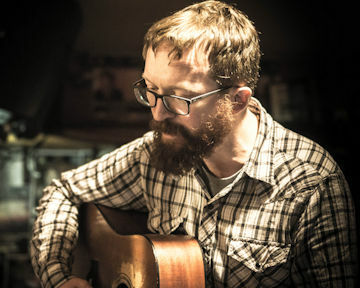 New York based, Cork born songwriter Niall Connolly has released 8 studio albums, a live album and an EP. His newest album, Dream Your Way Out of This One, has received rave reviews. He has appeared at festivals throughout the world and is the founder of the Big City Folk Collective in NYC. Soul-satisfying. Using creative elements of rock, folk, and soul, Mosa blends her take on the world into lyrically captivating and instrumentally feel good songs. Hailing from NY, she's always had an obsession with the grit and glamour of live performances. Vocal clarity. Old-school spirit. Musical sincerity. Solid sounds. Oklahoma-based songwriter Rigby Summer weaves an Americana soundscape that reflects the road she’s traveled, from her Kansas City jazz upbringing to the beach pop of her former home in southern California to the red dirt roots of her current home in Oklahoma. Her debut album Geography will be released in 2019. An American-citizen raised in the heart of the Canadian prairies and maturing on the west coast of British Columbia, Noah Derksen writes with the groundedness of harsh Manitoba winters mixed with the optimism of British Columbia’s coastline. He is releasing his third full-length album, America Dreaming, in 2019. Piper & Carson’s songwriting is free and fiercely personal; like running in the woods, washing in cold water and howling with wolves. The couples undeniable chemistry onstage draws you in, providing familiarity that brings their music to life. This duo will make you believe folk music can change the world. Please Note: For this special holiday concert only, our three performers will be sharing the stage for the entire evening. There will be only one intermission. Freebo, Kirsten Maxwell, and Alice Howe are three singer-songwriters who, out of their shared love of harmony singing, have joined together for several performances in the Midwest and East Coast. Freebo is an award-winning singer-songwriter who is best known as a world-renowned bassist (Bonnie Raitt 10 years, CSN, Ringo Starr, Maria Muldaur, Dr. John, and many others). 2016 New Folk Finalist Kirsten Maxwell is known for her “clear soprano [that] rings out in a way that would make Judy Collins and Joan Baez approve” (John Platt, WFUV). 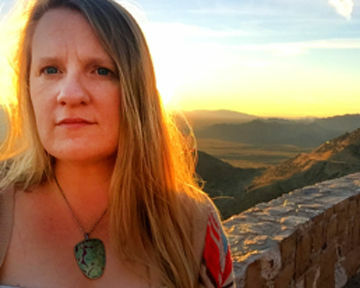 With her soulful, impeccably tuned voice, Alice Howe is “up there with the very best of Mary Chapin Carpenter, Gretchen Peters and Dar Williams” (Folking.com). Her song “Homeland Blues” debuted as #1 on the April 2017 Folk-DJ chart, and she will be releasing her first full-length album, Visions, produced by Freebo, in May 2019. 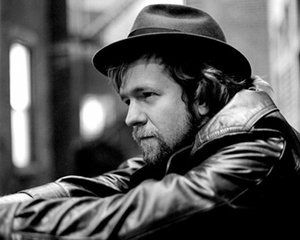 Freebo, Maxwell, and Howe promise a memorable evening of music bringing together a folk-rock-blues legend and two young artists becoming well known in the national folk scene. Nico Padden is a One-Woman Folk-Rock Riot. Her rich, catchy, heartfelt songs and fiery, soulful voice are crowd-pleasers everywhere she performs. Her 2016 album “A Light in the Dark,” has had significant play on Folk Radio. Her voice has drawn comparisons to Brandi Carlile, Aretha Franklin, and Joni Mitchell. Dan Whitener has hit the Billboard Bluegrass charts as a banjo player with both Emmy-nominated bluegrass-hiphop band "Gangstagrass" and Philadelphia’s own Newgrass Americana band "Man About A Horse". His song "We Are Gonna Be Okay" was featured in Spike Lee's movie" BlacKkKlansman". Tara Dente is an inventive songwriter with a powerful voice and heartfelt, whimsical stylings. She grew up around the sounds of Celtic music and spirituals, later latching on to folk and Americana music. Tara was nominated for an Asbury Music Award for Top Local Album Release for her album, The Gleaner, in 2018 . Diversion Records Recording Artist Pete Mancini got his start as the frontman and primary songwriter of Butchers Blind. His debut solo album Foothill Freeway explored the Americana influences that were a hallmark of his work with his former band. His songs have received glowing reviews and radio airplay around the world. All Types Of Kinds’ distinct harmonies, ear-catching melodies, and unique songwriting create a live show full of surprises. Unbound by convention, ATOK offers tastes of blues, folk, hip-hop, rock, pop, and jazz, seamlessly blurring genre-lines and showcasing each members musical sensibilities. Meghan Cary earned Billboard Magazine’s Critic’s Choice and the title track of her latest album Sing Louder debuted at #2 on the Folk DJ Charts. 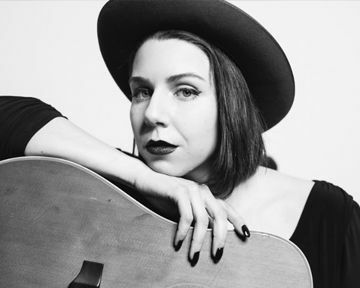 A regular on the Philadelphia Folk Festival stage, Cary is known for her raw honesty and ability to connect with audiences through high-energy tunes and masterful storytelling. Called “one of the most talented duos to take the stage in NYC,” The Whispering Tree crafts richly immersive folk-rock brimming with evocative lyrics and a panoramic musicality. Their CD, Invisible Forces, debuted at #1 on the folk DJ charts. The album explores a deeply personal and political landscape, with themes of hope, despair and social consciousness. The Black Feathers’ debut album was met with critical acclaim and broke into the Top 10 in the iTunes Country chart and the UK Americana Chart. Folk, Americana and Acoustic Indie Rock sensibilities coexist comfortably. Their music is a product of an arcane art of weaving in traditional influences so thoroughly that they become the warp and weft of fresh creations. Toronto-based singer-songwriter and fingerstyle guitarist Shawna Caspi performs solo, but there's a whole band under her fingertips. A mighty singer, a story sculptor, and a truth teller, she has toured across Canada and the USA and believes in poetry and the power of one person and one instrument. Scott Cook has been touring incessantly across Canada, the US, Europe, Asia, Australia and elsewhere for over a decade, and released seven albums of straight-talking folk and roots along the way. All the hard miles notwithstanding, he still believes that songs can change your life, and your life can change the world. Wisconsin native Katie Dahl has earned accolades nationwide for the depth and power of her alto voice, the literate candor of her songs, and the easy humor of her live performances. In 2015, Katie’s song “Crowns” hit #1 on the Folk-DJ charts, and she was selected for Falcon Ridge Folk Festival’s Emerging Artists Showcase. Roots and Blues singer Suzie Vinnick is a 3X Juno Nominee, CFMA Award winner, and a 10-time winner of the Maple Blues Award for songwriting, female vocalist, acoustic act and more. Suzie has a voice you’ll never forget. It soars, it growls, it whispers and it shouts from a deep, deep well of emotion. Rupert Wates averages 120 live shows a year, in every state in the US, in Canada and in Europe. He has won over 40 songwriting and performing awards. His songs have been covered by many other artists, including two tribute albums to his material recorded by artists in Nashville and Los Angeles.